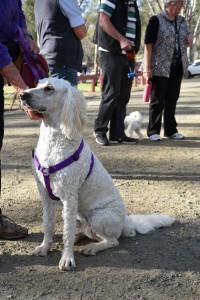 The sun was shining, birds were singing and the Campaspe community and their canine companions came out in force for the 2016 Campaspe Dog Walk at Lions Park, Echuca. 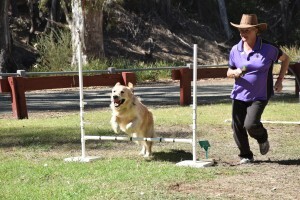 Thanks to the generosity of the local community approximately $1,200 was raised to help The Lost Dogs’ Home Campaspe Shelter care for dogs and cats in need. 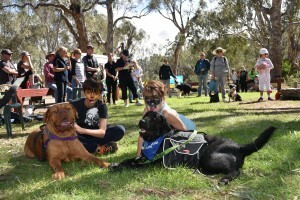 Campaspe Shelter Manager, and emcee extraordinaire, Kate Kemp, said the turnout at the event was fantastic, with many participants sticking around to enjoy the day’s activities. 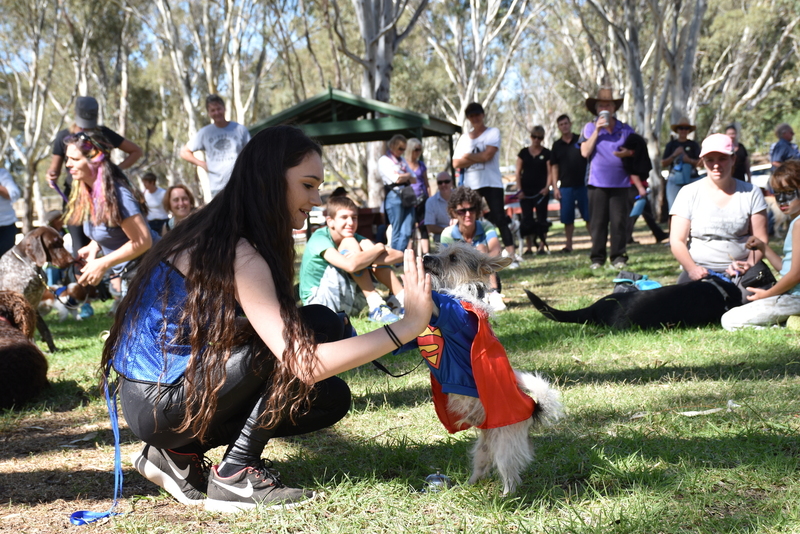 “It was great to see so many people come out, stretch their legs and enjoy the country air, while raising money for a good cause. Our adoption superstars made the journey to Lions Park to show participants how shelter animals make great pets! “All three of our adoption ambassadors did a great job showing the residents of Campaspe how shelter animals make great pets. “Ten month-old, German short haired pointer Abby even caught the eye of a family at the event; they adopted her on Monday afternoon and 14 year-old chihuahua cross Rocky has recently found his forever home too! Kate explained that the event’s other adoption superstar, five month-old Kelpie cross Sam, is still available for adoption. 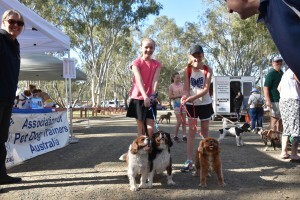 National Pet Register was also at the event to check the microchips of the dogs of Campaspe. 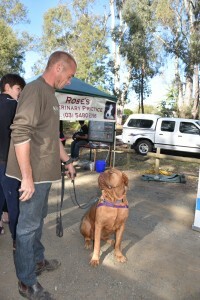 Overall approximately 40 dogs were checked at the event and two dogs were microchipped. Thank you to everyone who participated and donated at the event! Your support helps us care for more than 1,500 lost and abandoned cats and dogs coming into our Campaspe shelter’s care each and every year, while giving unwanted pets the opportunity to have a fresh start to live. A special thank you to the wonderful volunteers from The Lost Dogs’ Home who helped marshal along the dog walk course and run the BBQ. The Lost Dogs’ Home would also like to thank the businesses and local groups who have generously supported this year’s event.